I recently wrote about chestnuts for my weekly gardening column in our local newspaper, the Paulding Progress. Chestnuts are a timely topic, what with Christmas and the song, not to mention chestnut season is generally October through December. The president of the New York chapter of the American Chestnut Foundation, Allen Nichols, somehow saw my column and contacted me, offering to send both American chestnuts for eating and some for planting in the spring. Yes, genuine American chestnuts, not the Chinese ones most people eat these days. The American Chestnut Foundation is dedicated to bringing back the American chestnut tree (Castanea dentata), all but wiped out by blight in the early part of the 20th century. 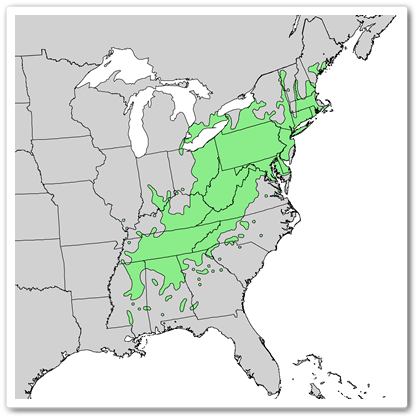 A fungal disease was inadvertently introduced to the U.S. from Asia and it proved to be fatal to the American chestnut, which has no natural defense against it. 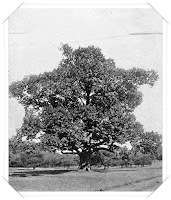 Efforts to bring back the American chestnut include the creation of a transgenic American chestnut tree at the State University of New York College of Environmental Science and Forestry (SUNY-ESF). By inserting a naturally-occurring gene from wheat (also found in strawberries, barley, oats and bananas), the chestnut tree is resistant to the fungus. (See video at the end of this blog post.) If researchers are successful in gaining permission, it could be the first transgenic tree to be released in the wild. 1. Since chestnuts contain a fair amount of moisture, you need to cut a slit in the outer covering to prevent them from exploding as you heat them up in the oven. Make sure your knife is very sharp, because they're very tough, and make a cut about ⅛-inch deep, through the outer layer, the thin papery layer and just nicking the meat a bit. 2. After cutting, I soaked the chestnuts in warm water for about half an hour. This helps loosen the outer covering which will later be peeled away. 4. When they're ready to take out of the oven, the skins will have peeled back on their own and the meats will be a golden color, glistening slightly. 5. When I took them out, I put the hot chestnuts in a piece of foil and closed it up. This allows them to steam a bit, which helps with removal of the skins. After a few minutes, they were cool enough to handle. 6. While many comments were found complaining of the difficulty in shelling the roasted chestnuts, I didn't find it to be difficult at all. Several of them popped right out of the shells on their own. Others came out when I cracked the shells further. The thin papery layer stuck to the shells, so even those weren't a problem. Beginner's luck, maybe? I'm a pretty picky eater. Certain textures, temperatures, and aftertastes have a way of making something unpalatable to me, in addition to the flavor itself. But I often discipline myself to try new things and to eat things that I know are good for me even if I don't particularly like them. I didn't expect to like roasted chestnuts. The only nuts I really like are pecans and almonds, but I'm even selective about the kind of almonds I'll eat. I like peanut butter (creamy only) but don't like peanuts. Walnuts make my mouth hurt. Cashews are just nasty. But these chestnuts... YUM! I'm not really sure how to describe the taste to someone who's never had them before, but my first reaction was that their flavor hinted of something I'd eaten before. It took me a bit to identify it, and don't laugh, but to me they tasted like chicken. Not exactly, of course, but that's the taste that came to mind and Romie concurred. Others have said they remind them of sweet potatoes and I can see that, too. Whatever... they were good. Romie liked them as well, but he'll eat just about anything. 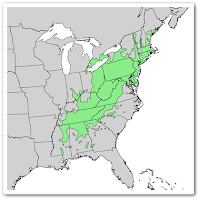 When grown from seed, American chestnut trees take about 7-8 years before they produce seed. So why would I want to plant chestnut trees, when I'm not even sure if we'll be living here in 2023? 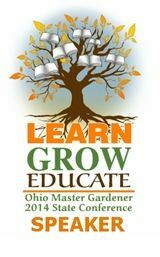 As Allen Nichols told me, "We are encouraging people to plant pure wild type American chestnuts so they have a tree to cross with our blight resistant transgenic tree, when it is available, which we hope will be in just 3-5 years." 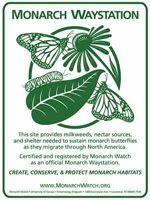 I will plant them because I like being a part of something that is for the greater good and because, like my beloved monarchs, they can use all the help we can give them. Sing it with me now! When you hear that song, which Chia Pet® pops into your head? Though it seems as if these quirky items have been in existence forever, it's really only been since 1982 that they were widely marketed. That's an entire lifetime for my younger daughter, so I suppose to her, they HAVE been around forever. The terracotta figures have run the gamut of incarnations: Ram, Bull, Puppy, Kitten, Teddy Bear, Tree, Bunny, Turtle, Herb Garden, Pig, Frog, Hippo, Guy, Elephant, Kid, Professor, Clown, Cow, Lion Cub, Dinosaur, Elmer Fudd, Taz, Tweety, Mr. T, Shaggy, Scooby-Doo, Homer Simpson, Bart Simpson, Bugs Bunny, Daffy Duck, Shrek, Donkey, Garfield, Cat Grass, Sylvester, Marty, Po, Presidents Obama, Washington, and Lincoln, Sponge Bob, Liberty, Hello Kitty, Santa, Snowman, Romney, Gingrich, Paul, Gnome, Coco Crisp, Willie, Uncle Si, Teenage Mutant Ninja Turtle, Mickey Mouse, Flower Garden (Winnie-the-Pooh with paperwhites), Chef's Garden, Zombies and Minnie Mouse. So which one did I get? Hello Kitty, of course. Then I soaked two teaspoons of the included chia seeds in ¼ cup of water - again overnight, though the directions say just an hour. This helps soften the seed coat, enabling germination. The mixture became a gel-like paste, which made it easier to spread and adhere to the terracotta planter. The mucilaginous paste is inherent and is the seed's way of making sure that it will have enough moisture until it germinates. Once the seed germinates, it will need to get its moisture elsewhere - in this case, by watering daily. There's a little hole at the top of the planter, which you need to pour water into each day, to make sure the terracotta stays hydrated. This is how the chia will get the moisture it needs for growth. I put it in a location that gets bright light - in our house, a south window because it's winter and the quality of light here in the north isn't the best in other locations of our house. 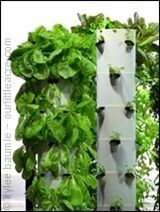 In about five days, give or take, I'll see sprouts beginning, and in about two weeks, they should be grown enough that I can clip them and add them to my salads. Now lest you think this is all nonsense, chia sprouts are GOOD FOR YOU. You can eat them. Chia (Salvia hispanica) is used as a nutritional supplement in its seed form, added to smoothies, either ground or whole. They're rich with omega-3 fatty acids and high in the B vitamins, niacin and thiamine. The sprouts make salads healthier and more interesting. Don't you want to chia too? Of course you do. Because you're secure in your own gardening skin and you don't take yourself or life too seriously. You want to cross that Chia Pet® off your bucket list. So just do it. Better hurry though, because Chia Pets are only available in stores during the holidays. If you're lucky, you might get a great deal on one right about now. And while you're at it, you should just pick up a few of them and gift them to the people high on your list. Or low on your list. You decide. Ch-ch-ch-chia! Because life's too short not to chia. 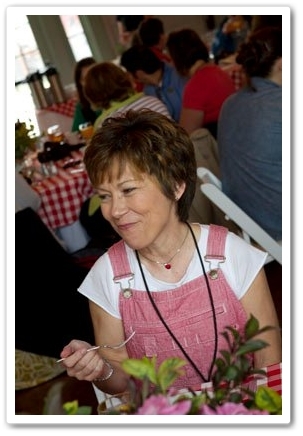 Several years ago, I was having a conversation with Mimi San Pedro, COO of Hortus, Ltd., P. Allen Smith's company. It was a few weeks prior to one of my Garden2Blog visits to Allen's Moss Mountain Farm, and the conversation veered in the direction of pecan pie, as most conversations do. I mean, who doesn't love pecan pie? It's always in the forefront of our thoughts and eventually we're going to talk about it. We can't help it. Now I am not a pie eater in general, but if you put a Dutch apple or pecan pie in front of me, I'm a happy girl. Mimi described Allen's pecan pie to me and I was already drooling, and I secretly hoped he would serve it when I was there. Okay, maybe it wasn't so secretly and I might have just said, "Can we please have Allen's pecan pie when I'm there?" 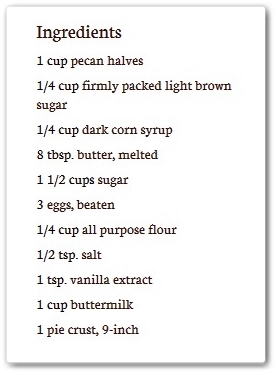 Take my word for it - make this and you will throw out all your other pecan pie recipes. 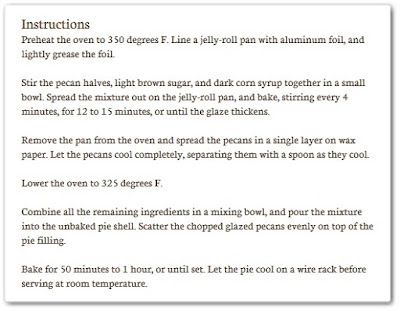 Even if you don't particularly like pecan pie, you might just like this one. So. Good. 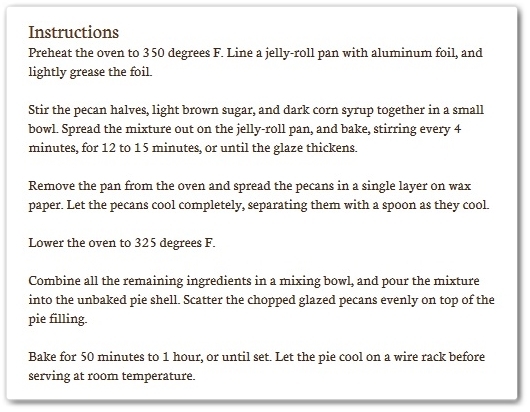 Allen's Pecan Buttermilk Pie is featured in his wonderful cookbook, Seasonal Recipes From the Garden. 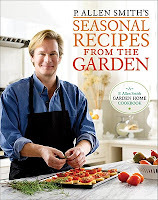 This is my go-to cookbook if I want to make something new and be assured that it will taste good. *Recipe reprinted here with permission. Link for Allen's book is my Amazon affiliate link. 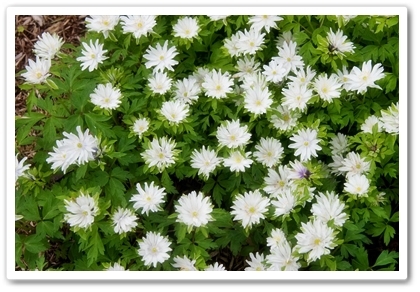 I got a new one that I planted this fall - Anemone nemerosa 'Bracteata Pleniflora' - and it's a spring ephemeral. That means it will come up in the spring, flower, and then disappear with the heat of summer, never to be heard from again until the next spring. When my "bulbs" arrived from Easy to Grow Bulbs, my first thought was, "These are bulbs???" They're actually rhizomes. To be honest, they reminded me of some of my red wigglers that sometimes escape from my worm bin in my office and can't find their way back home. Three days later. The included planting instructions said I should soak them in lukewarm water for about 3 hours or so, prior to planting. But as I often do, when soaking is recommended, I used Annie Haven's Moo Poo Tea. That's what everyone calls it, but its official product name is Haven's Natural Brew. Soaking bulbs is just one of the things it's good for. 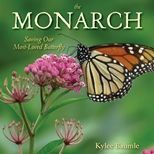 I also use it as a nutrient-rich drench for my houseplants about once a month, and in my garden as a soil conditioner. After soaking, I planted the anemone rhizomes in a location that's part shade and I'm hoping for some of those beautiful semi-double blooms come spring. We like our swiveling mailbox, but I love the new accessory we got for it. I ADORE it. More than just a clever play on words, the Tattle-Tail saves me running out to the mailbox to see if the mail is here, only to find out it's not yet. And with winter upon us, I love it even more. How it works is pretty simple. You attach it to the side of your mailbox and make sure the yellow flag is down. Opening the mailbox door will cause the Tattle-Tail to flip up and it stays up once the mailman delivers your mail and closes the door. Because the flag is positioned perpendicular to the mailbox, you'll be able to clearly see whether or not your mail has been delivered from the comfort of your home (as long as you have a clear view of your mailbox). Flag up, mail's here. Flag down, not yet! More information on the Tattle-Tail can be found here. You don't have to have the Return-to-Center mailbox system to use the Tattle-Tail. It will work on most any rural mailbox. Shipping is included in the $28 cost, as is the stainless steel hardware needed to attach it to your mailbox. We received our Tattle-Tail alert flag free of charge from Return-to-Center, but we like it so well that we actually would have bought it ourselves if our brother-in-law hadn't offered to send it to us. Sandhill cranes are iconic in Nebraska. I know a couple of people who live there that have talked about them for years. I know they resemble our cranes and herons that we have here in Northwest Ohio, except that they're bigger. And louder. As of today, I can confirm that this is true. I had just pulled into our driveway and when I turned the car off, I heard a very loud noise that closely resembled the honking of a large flock of geese, yet I knew it wasn't the usual Canada geese that are so common here. I got out of the car and before I saw them, I was struck by how VERY LOUD these birds were, whatever they were. Across the road and about a ¼-mile away, I saw a large flock of long-necked, long-legged birds landing on the southwest side of the creek that is officially known as Cunningham's Ditch. There were about 300 of them and I was completely fascinated. I ran into the house and grabbed my camera. My photos are highly zoomed, so they aren't the highest quality, but you can see them well enough to realize how very regal and handsome they are. Though we are on the fringe of the sandhill crane's summer breeding range as well as their migration route, they aren't normally found in Ohio. I'm 58 years old and this is the first time I've ever seen them in my life and I very well may never see them here again. The red dot shows my location in Ohio. 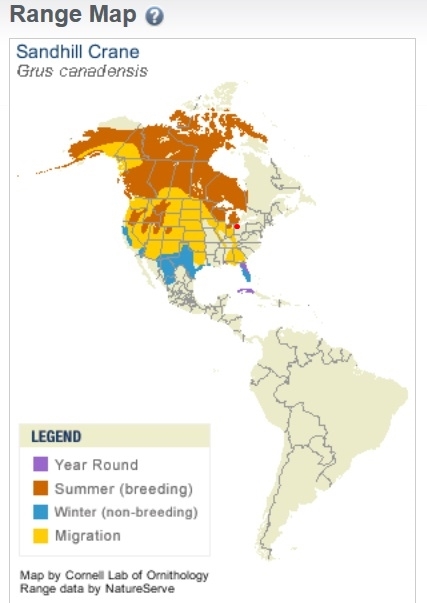 Sandhill cranes go as far north as the Arctic Circle in the summer and south to northern Mexico and the southern U.S. for winter. We're not in their usual migration path, but we're also not that far outside it, so on occasion I would imagine they venture into Ohio as they go from here to there. They're omnivorous, meaning they eat both plants and animals. I'm going to assume they were gleaning corn from the already harvested field they set down in. Or maybe they were just taking a rest on this drizzly, 45-degree day. They spent about three-quarters of an hour on the ground, where they were fairly quiet (by comparison) until they lifted off and continued on their way. The only thing was, they headed north. Perhaps they're as confused as our weather. I found them to be beautiful, handsome, regal and awe-inspiring. I'm so glad I happened to be in the right place at the right time to see them. 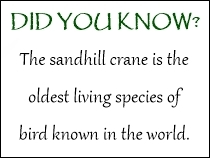 For more information on sandhill cranes, visit Cornell University's All About Birds. I have never met Cathy at Rambling in the Garden, host of the blog meme, In a Vase on Monday. I've never participated in the meme before today, but I'm familiar with it because of someone I have met. the containers, the structures... She is an incredibly talented designer. "Careful, you could poke an eye out." Loree Bohl, who lives and gardens in Portland, Ore., has posted her version of the meme a dozen or so times. When the Garden Bloggers Fling was held in Portland in 2014, I was privileged to get to see her garden - Danger Garden - in all its spiky glory. 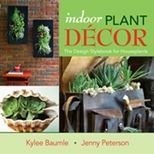 I've long been a fan of her blog and seeing all those glorious plants in person as well as her edgy design was one of the highlights of that trip. I don't often cut things from my garden, preferring instead to enjoy them in their natural setting. But today, as we were experiencing way above normal temperatures for the middle of December, I got the urge to go out and cut whatever I thought might go together in a vase. On Monday. Because I don't cut things from my garden, I'm not the most accomplished flower arranger. Those things take practice. But I'm pretty happy with how this one turned out. It even looks a little Christmas-y, though that wasn't the intent. handmade angel (by mom) company on the mid-century buffet. I worked hard to find something in bloom, impossible at this time last year, which had us with several inches of snow on the ground. Though we were at nearly 70° on Saturday and Sunday this year, it will be a couple of days yet before the fall self-seeded Calendula blooms open up. I doubt I'll participate in In a Vase on Monday again until spring comes along and I've got something different to choose from the garden for cutting. 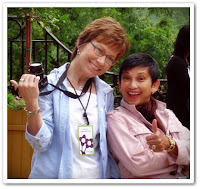 But you can follow along at Cathy's blog here. Thanks, Loree, for inspiring me to play. I'm a seed saver. 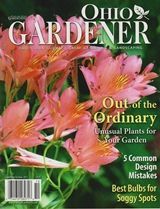 If I have some annuals or perennials that I love, you can bet that beginning in late August, you'll see little glass bowls with seeds in them lining up on the kitchen counter. They grow in number until about the end of October, which is usually when seed saving season is forced to come to a close. If the plants haven't produced seed by then, frosts and hard freezes put a stop to it. I've long considered the toad lily (Tricyrtis spp.) to be my signature plant - the one that I take the most joy in, because [a] its bloom resembles an orchid's [b] it grows and blooms in the shade, [c] it blooms at the end of summer through fall, when blooms become more sparse, especially in shade, and [d] I can't imagine my gardens without it. Every year, the toad lilies (not actually lilies, by the way) bloom their little hearts out and form seed pods. And every year, I hope to collect seeds. But I don't. They get soooo close to maturing enough, and then frost happens and I'm left with green pods and immature seeds. But thanks to an unseasonably warm fall this year, I've got toad lily seeds. I've got lots of them because they're so tiny - nearly as small as petunia seeds. I have petunias that self seed every year and I've said that if every single petunia seed germinated, there would be enough petunias to supply all the garden centers for 50 miles around. with the seeds about the size of flecks of pepper. But that never happens and maybe that's the reason that petunias produce so much seed to begin with. Toad lilies have the same potential, but they can be difficult to grow from seed. They need cold stratification and they need light to germinate, so that means I'm going to need to sow those seeds now by sprinkling them on top of the soil where I want them to grow, and hope that the freezing and thawing cycles (not to mention the cats) don't manage to bury them by spring. I'll let you know next spring how successful I am.